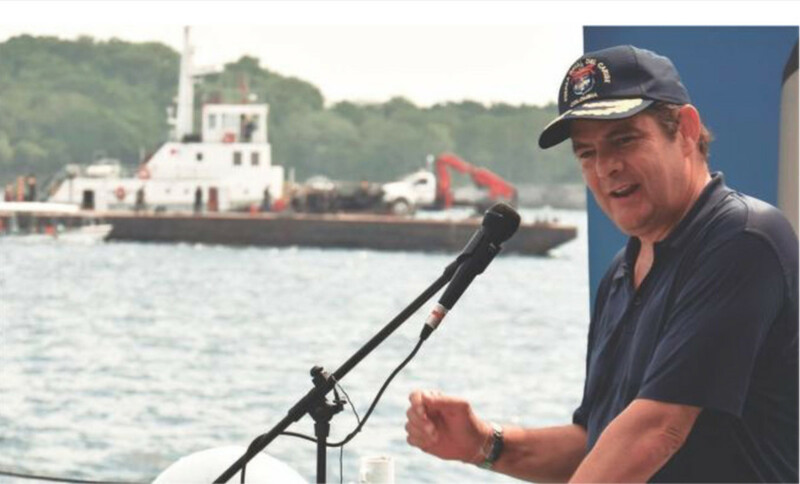 German Vargas Lleras spoke in a recent interview with Destino Cartagena about the priority the government has placed on developing Colombia’s marine industry. Colombian vice president German Vargas Lleras says tourism will increase as the country’s recreational marine industry grows. Destino Cartagena Business & Tourism said Colombian vice president German Vargas Lleras has created policies to rapidly improve the recreational marine infrastructure in the country and some initiatives are becoming reality. Lleras spoke in a recent interview with Destino Cartagena about the priority the government has placed on developing Colombia’s marine industry. He is the person behind new regulations that streamline the process of developing new activities in Colombia that will result in employment, progress and development for many of its regions, according to the marine industry association Colombia Nautica. Lleras said the government and the entities that make up the Colombian Ocean Commission consider it to be of the utmost importance to promote the growth of the marine industry in Colombia, Lleras said. “When we arrived in office, we found some pretty outdated procedures, scattered throughout many agencies, which meant that new marinas could be delayed for more than five years, which discouraged any initiative in this regard,” Lleras said, according to the Destino Cartagena Business and Tourism office. He said government agencies have worked to change the processes for developing new marinas and marine infrastructure. Lleras said the Ministry of Commerce, Industry and Tourism prepared a National Plan of Nautical Tourism to define the potential throughout the country, including the Caribbean and Pacific coasts. The study proposes the development of a national network of nautical bases made up of 31 facilities that cater to the needs of nautical tourism in each area, he said. Initially, 24 facilities will be built in the Caribbean and seven on the Pacific coast. Lleras said the plan is that in 15 years Colombia will be able to position itself as a nautical reference in South America and the Caribbean region. Marine facilities can accommodate 8,000 vessels; additionally, more than 150 companies will be working in marine activities, all of which has a socioeconomic impact on coastal regions, he said. Lleras said the tax burden — a 20 percent tax on boats and boating equipment — is similar to that of some European countries with significant marine development and a higher level of income. The rate is higher than competitors such as Costa Rica, Panama and the Dominican Republic, where the rates are between 6 and 16 percent, and discourages industry development. With new regulations, Lleras said, it is expected that Colombia’s General Maritime Directorate, or Dimar, will authorize concessions for marine projects this year to respond to the needs of the region and the growth in demand.